What we wear to work can have a big impact on our job performance. Your work apparel tells a lot about you, and image is important in almost any field you go into. Your work apparel can also have an effect on your safety, especially if you are in a field where you work around heavy machinery, vehicles or other potentially dangerous equipment. 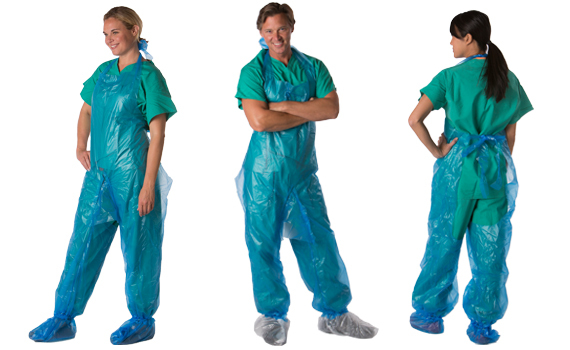 If you work in the medical field, your medical apparel takes on a whole new meaning. Not only do you need to appear professional and capable to your patients and fellow co-workers, but you also have a duty to protect yourself and your patients from anything that may cause infection or cause harm. Ensuring a high degree of sterility in everything you do becomes of the utmost importance in these situations and having the right personal protective apparel can make this much easier. If you are in the medical field or about to go into the medical field, here are some tips on how to keep yourself, your patients and those around you as safe as possible. Consider the fabric of your uniform. Cotton is usually the best choice because it ensures maximum absorption of body sweat and is also one of the most comfortable fabrics to wear. Don’t skimp on fabric when it comes to medical apparel. Consider the color. If you have a choice when it comes to your color of uniform, put some thought into it before you just buy whatever catches your eye. Bright and pastel colors have a tendency to become soiled easily (and noticeably). It’s usually best to choose dark colors like blue, dark green and maroon. Consider size. A good fit is key, and not all brands of medical apparel fit alike. If you are not familiar with the brand, it’s a good idea to go somewhere you trust that has put a lot of thought into the design of their medical protection garments. A good fit ensures that you will be comfortable and that excess fabric won’t be interfering with your work. 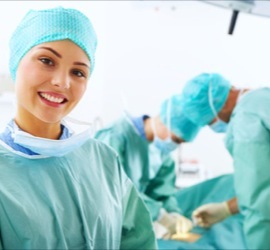 Surgeons need to be especially choosy about their personal protective equipment such as shoe covers, pant protectors, or a surgical jumpsuit. Consider pockets. More than likely, you will need to carry items around with you such as stethoscopes, pens, notepads and other materials (depending on your exact job). You could lose valuable time if you continually lose these items because you can’t carry them on you. Make sure pockets are of adequate size and located in a place where you can easily get objects out of them. Consider design. There are more choices than ever when it comes to medical uniforms. You can choose from drawstrings or snaps, crew necks or v-necks and a variety of different cuts and fits. Make sure you know what protective parameters you need to stay in at your place of work, then choose whatever best suits your own sense of style and is the most functional for your position. Consider where you work. You might make slightly different choices if you are working at a kids’ dental office all day, a surgeon who needs to stay dry during procedures, or if a hospice worker dealing with patients who only have weeks to live. Consider the image you’re trying to project and who your patients are when you choose your medical apparel. What you wear to work is always an important decision that should not be taken lightly. In the medical profession, safety and sterility are of the utmost importance. Once these are taken care of, you can focus on comfort, style and personal preference.